Pottery is as much a philosophy as it is an art form. In Mashiko and Kasama, two regions of Japan which is the home to some of the best potters in the world, this is especially the case. Those that work in these areas spend decades perfecting their craft, refining their skills until they are the best they can be, and as a result develop a new way of life. 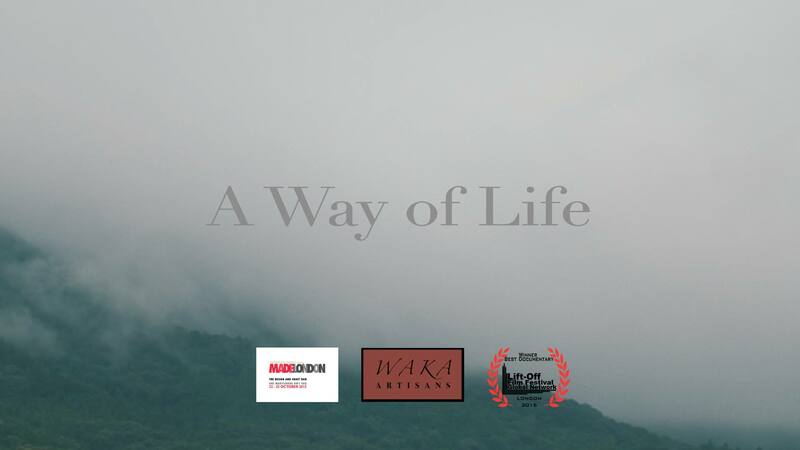 Adrian Lo’s short film A Way of Life explores this theme, focusing on the lives of eleven potters to present their unique lifestyle and revealing the inspiration and dedication to their craft. Filmed in collaboration with Waka Artisans, an independent gallery in Hong Kong, and co-director Tian Macleod Ji, the film won the best documentary award at the London Lift-Off Film Festival last year. As a result of their win, their film is set to be presented around the world as part of the Lift-Off Global Network of festivals, and View of the Arts had the chance to speak to Adrian about the project. How did you first become involved with the project? Actually we came across this project by being approached by Waka Artisans, who are the producers of this film. 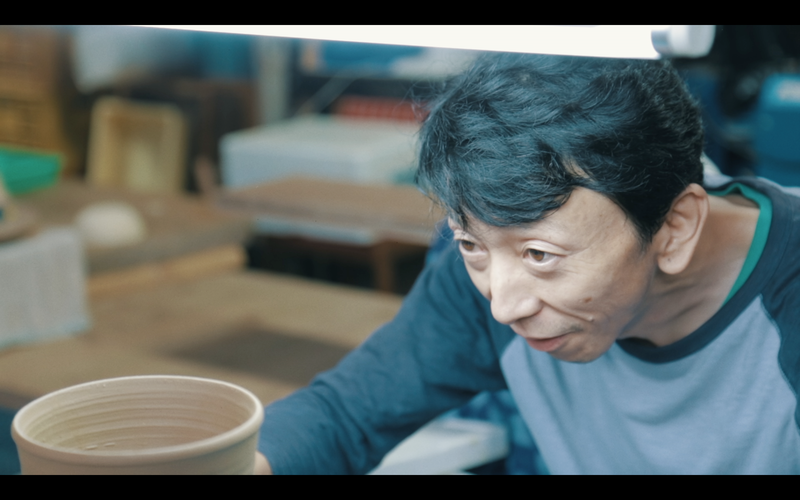 They are a Hong Kong-based ceramics gallery and they deal with pottery specifically from the Mashiko and Kasama region that we filmed in. So, after watching our first film A Portrait of Sun Wah Kee, they approached us and asked if we wanted to come to Japan and film in the same vein as our first film, so we couldn’t say no! Were you familiar with Japanese ceramics before you made the film? I’ve done a bit of ceramics myself, but I would never call myself someone that was particularly educated about the topic before I made the film. Obviously, having then taken on the project we had to educate ourselves on the nuances that we would be looking at before going out there to film. Part of being a director is precisely being able to read a lot about the topic you’re filming and meeting a lot of people in person. Waka Artisans produced the film, were the potters part of their company? I think the way to describe it is more of a gallery that displays the artist’s work without calling them their own artists. I think the potters are more focused on their work in their own villages. That said, without Waka Artisans we wouldn’t have had much of a topic because without them we wouldn’t have been able to meet twelve different potters within the space of six or seven days. Japanese culture, particularly manga and anime, has found a home in the West. But traditional arts such as pottery or doll-making has not reached as wide an international audience as Japan’s contemporary culture. 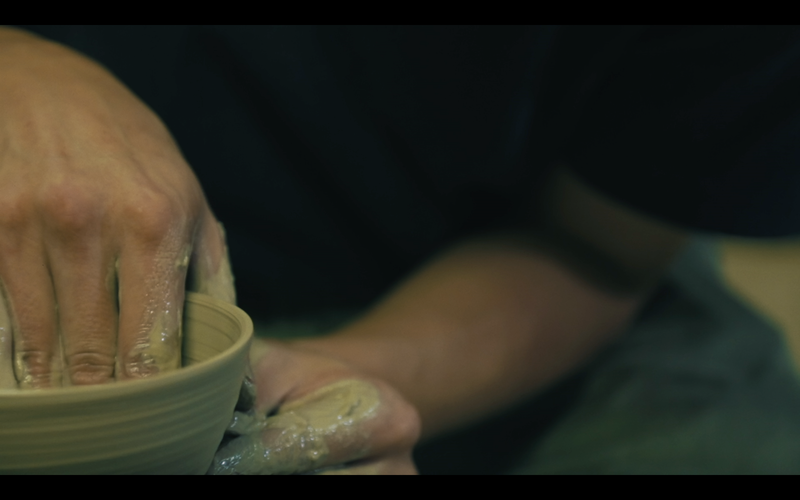 Do you think your film will introduce pottery to a much wider audience? I think Japanese culture as a whole has a certain charm in the west, but I think you’re right about traditional arts not quite carrying the same level of charisma as other aspects of Japanese culture. But I think actually what is really great about pottery, especially Japanese pottery, is that it is ceramics, it is itself a language spoken in a lot of other cultures. Even Britain has a strong ceramics history, and I think Japanese ceramics itself encompasses a lot of the philosophy behind their culture. For example, in the film everyone is describing the idea of Tewaza which is the idea of learning through repetition, using their hands and gestures to build a physical memory learning how to make pottery. It’s through this refinement of that technique that they get better at their art. 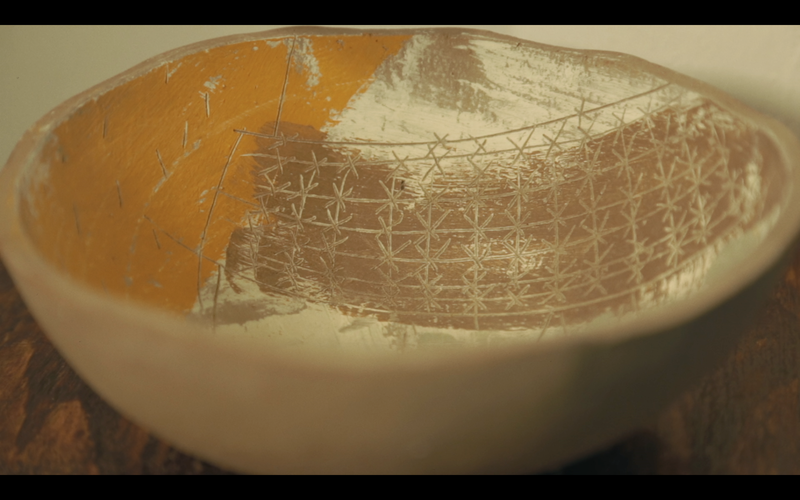 There’s something inherently Japanese about that, and that was something that we really wanted to capture and bring to the audience regardless of whether they knew about pottery. In some of the screenings in Hong Kong we had many Japanese audience members come up and congratulate us for capturing, in their words, Wabi Sabi. That was something I was very happy with. Your film presents the inspirations for these potters as well as some of the struggles they have been through, such as the 2011 earthquake, why did you want to focus on these themes? Well actually there were so many reasons. When we were deciding what the nature of this film was going to be about, I was very aware that what I really wanted to describe wasn’t just a documentary on the technique and the process of making Japanese pottery but actually that through pottery, through holding a physical thing, and using it in daily life, you can actually also experience what the maker has experienced. I thought the earthquake was an interesting topic to use in the film, it’s a relatively short film but it carries a significant sense because of that theme. If you had been with me in the interviews then you would have realised that this is such an important part of their lives. Natural disasters are part of their experiences of lives and it was actually, if anything, wonderful to keep their experiences of the earthquake in the film than to take them out. Mashiko, one of the potters we interviewed, actually started a charity after the earthquake because the ceramics community was hit so hard by it. Working with such delicate and fragile products meant they were really badly hit, but many of the artists themselves took the chaos and made it into a major drive and inspiration for their new works. We didn’t put this in the film, but one of the potters was explaining that handmade pottery isn’t always about an interesting strive for perfection, they also have recognition that irregularity is beautiful. Sometimes I would see these scenarios they were describing, and I could see a keen awareness of the imperfections of their life experiences being very much a part of what they were making, and this was an essential part of it. You have worked with your co-director Tian Macleod Ji before, what was it like to work with him again? Tian is a great cinematographer and we get on well. We co-direct, we edit the film together, and I think it gets better every time. Finding a functional working relationship is hard and ours is a very creative one. It got us to Japan as well which is great! Are you working together on your current project? The latest film that we are making, which we haven’t talked about much, is a continuation of our first film and deals with topics of art, Cantonese culture, urban life and gentrification. We are looking to release that in March, so more collaborations will happen between us. Would you be interested in looking at other cultures in your films? Well I’m originally from Hong Kong but I grew up in England, and Hong Kong is a very international city. I think what’s always great about the city is how it’s very diverse and there’s an awareness of embracing other people’s cultures as well as looking inside your own. If I could film again in Japan, England, America or wherever I would go. 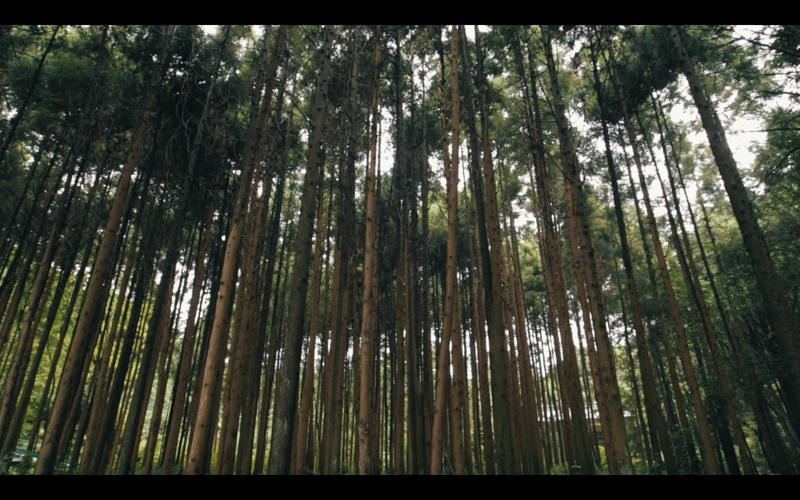 The cinematography in your film is stunning, how did you go about capturing the beauty of Japanese nature and pottery? Well a lot of it was spontaneous, but obviously there was some planning and ideas of what we wanted to film because we knew what sort of region of Japan we were going to and roughly what the area looked like through our research. But when you arrive there’s such a beautiful countryside, so it was quite overwhelming doing these interviews and then seeing that this is the sort of place that they are living in. You kind of immediately have that urge to say “right I need to capture a lot of this visual” and I think it creates almost a sense of awe, and for outsiders its more overwhelming than for locals who think these are just the normal surroundings that they work in. A lot of what we were aware of was that as soon as we got there we thought this is definitely the right thing to do, so we are very glad it came across well on film. The potter who painted rabbits on her pots had a really beautiful art style. That’s actually one of the more popular ones, I mean the painting itself is incredible. Being there and witnessing her painting it by hand, without planning it beforehand, was wonderful. She’s a trained artist, and her husband makes the pots and then she draws and paints on them — it’s a great working relationship, and they live in the middle of the forest. It was quite surreal seeing that part of their lives. In the film you emphasise that pottery is as much a philosophy as it is a craft, why do you think this is the case? I think particularly with ceramics there is something distinct about it because it requires quite a lot of commitment and devotion. When it comes to being a craft, it puts a lot of emphasis on the technical ability of the potter which is very important because you have to develop a good technique, but I think it’s also a matter of expression. I think its expressing certain world views, and a certain way of life. That’s what really struck me, because when we look at how distinct a piece of pottery can be it’s not a form of artwork that’s so outrageously in your face like a painting or statue, it’s also functional so it has to work well. You can’t make a mug that’s too thing and so too hot to hold in your hands. The best potters are very good at combining that with the other important element of being creative, and expressing the mood of where they are from and how they see life. They paint many kinds of things and there’s nothing quite like it, so we appreciate it on a whole different level. 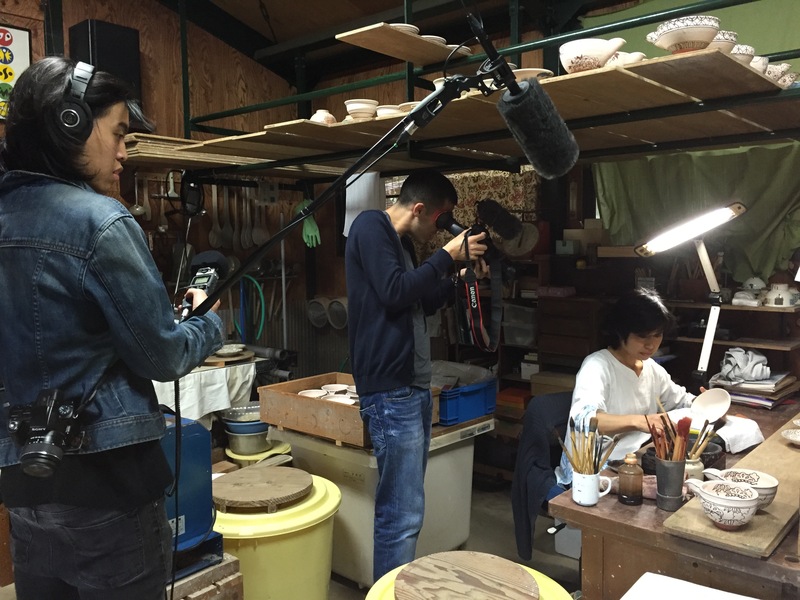 The process of making pottery seems quite time-consuming, and you said that you filmed the project in only seven days. What was that like? Truth be told it took hardly anytime at all, we were only with some potters for two hours. It took a long time to get to them, maybe three hours, and we would then interview them and see their workplace and film them making pottery. One day we had to do three interviews in a row, so we would just go up to film and there wasn’t a lot of time to go along with it and explore things. We had to plan as much as we could, and have a good idea of what we wanted to do. Then when we knew that we had to work with it in mind. We didn’t always know exactly what we were going to film, necessarily, so it was good that we could see their culture. They were also very humble and quiet so that often changed the time factors for us. We wanted them to take us places and tell stories, and I think we planned our questions very well so that we got a lot of very good answers from them. You composed and recorded the soundtrack for the film, did you play all the instruments yourself? What was the inspiration behind the songs? Yes, I did. I played the violin solo myself, recorded it myself and produced it myself from scratch. I think I had some ideas as to what I wanted. I would come up with fragments of musical ideas as I was preparing the storyboard for the film before I went to Japan. A lot of the ideas came from actually being in Japan though, for example the title track took inspiration from string music I liked to listen to, and it had a folk element to it. So the two together made me think of certain artists, there was an oriental element to it, and I quite naturally leaned toward that direction after seeing the landscape and how the potters worked. Throughout the process of making the documentary I came up with the idea for the song Tewaza, and it has quite a motor-y feeling to it which is supposed to give a sense of the craft and going through it again and again. There was no need for dramatic music, but just knowing that there are people out there who do their work so resolutely influenced my music big time. The countryside and the folk culture also helped shape the genre I was going for. All your films are documentaries, would you ever be interested in working on other types of films? Yes, definitely. I think I am very open to making films in different styles and I love documentaries because they have a very distinct style of storytelling. We are blessed to be able to see different types of media and to see stories, so I don’t think I could listen to one genre of music because the option to hear more is there. We live in the age where we are more accustomed to being told stories in many different formats and I want to do that with my films, so telling stories in different formats like documentaries, narrative, fiction films makes sense. The whole purpose of having these different opportunities is knowing what the message is that you want to tell, so with the films that I’ve done have been about life. What really fascinates me still is this human side of culture, which is something that can’t be replaced by anything when you are being told a story by an artist who is telling you about their lives. There is an infinite amount of energy and power to that aspect of storytelling that any filmmaker would love to tap, and documentary filmmaking is precisely that type of work. Written and interviewed by Roxy Simons. Photos: © 2016 – Adrian Lo and Tian Macleod Ji.